Chemical peel removes the upper layers of the skin and accelerates its physiological renewal with the help of specially selected chemical compounds. After the procedure, the production of hyaluronic acid, collagen and elastin increases which improves skin tone, smooths and moisturizes it, eliminates wrinkles, scars and post-acne. The final result of the peeling will be visible at least after 2-3 weeks. Immediately after peeling, the complexion improves, the skin becomes smoother. Soothes the fine and reduces the severity of deep wrinkles. The pigment spots are lightened. After the chemical peeling is done, soothing and moisturizing creams and solutions are applied on the skin. Then it is necessary to use anti-inflammatory and sunscreen products, to limit the sunlight on the skin, to use cosmetics that create a semipermeable film with a barrier effect for 1-2 weeks. 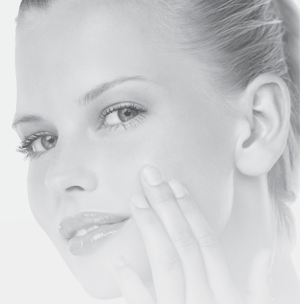 A-NOX product line is highly active in skin care with a tendency to acne. Active preparations contain a mixture of sugar, natural extracts and active ingredients that support the regeneration of the skin, reduce the excessive formation of sebum, soothe problematic areas of the skin, reduce the appearance of acne and improve the appearance of the skin. Sugar possesses an antiseptic effect and helps to soften and moisten the skin. BETA HYDROXY ACIDS (BHA)(salicylic acid) is famous for its beneficial effect in the treatment of acne; in addition, it regenerates and improves the texture of the skin. Lemon juice Contains alpha-hydroxy acids and contributes to the renewal of the cells. Vitamin C is effective in skin rejuvenation and lightening. Zinc Oxide absorbs excess sebum, reduces the appearance of acne and protects from the adverse effects of sunlight. Pomegranate extract is a strong antioxidant that binds free radicals, improves skin texture and helps its regeneration. Menthol stimulates blood circulation in the skin, giving it a fresh and healthy appearance. Calamine, Chamomile, Allantoin a Camphor prevent and reduce inflammation. Wash your face with A-NOX SUGAR SOAP. Apply A-NOX SPOT DRYING GEL directly on the problematicspots. Apply A-NOX SPOT DRYING GEL directly on the problematicspots.. Apply the mask A-NOX MASK. Products from the line DOUBLE ACTION are perfect for oily skin which is prone to excessive production of sebum. These products help to regulate excessive fat formation, prevent the appearance of a greasy shine and help keep the skin clean, smooth and fresh. Care CORRECTION FOR EDUCATIONAL LESION EXEMPTION helps to eliminate problematic spots on the skin, reduces the expanded pores and excess of sebum formation, thereby helping to maintain softness, smoothness and cleanliness of the skin. EUCALYPTUS OIL has antiseptic and anti-inflammatory properties that promote the healing of inflammation. Peppermint oil improves blood circulation, has a calming effect. Camphor is an antiseptic and also contains healing ingredients. Calamine helps to reduce dilated pores, disinfects and moisturizes. Sulfur regulates the production of sebum. Allantoin soothes, moisturizes and protects before adverse effects of external factors, as well as stimulates the processes of skin regeneration. Clove, chamomile and Echinacea have anti-inflammatory and antibacterial properties. Pomegranate extract contains a huge amount of antioxidants and has anti-inflammatory properties. Glycolic Acid is an alpha-hydroxy acid (AHA) which is highly effective in removing dead cells and regenerating the texture of the skin. Wash your face with DOUBLE ACTION SOAP. Apply DOUBLE ACTION FACE LOTION. Apply DOUBLE ACTION HYDRATANT EMULSION. Apply face locion with sun protection lotion SUNBRELLA (SPF 36)..
Applye DOUBLE ACTION ACTION DRYING LOTION on the problem zones. Apply DOUBLE ACTION MASK, leave for 15 minutes, then wash with clear water. 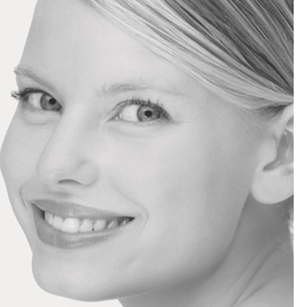 -THE SUCCESS line acts to slow down the skin aging process resulting from physiological factors. Its products contain an extremely high concentration of vitamin C which is one of the most valuable natural antioxidants, neutralizes free radicals, improves complexion, triggers natural regeneration processes, reduces wrinkles, accelerates the synthesis of collagen, maintains the optimum level of skin hydration. Care REJUVENATION helps to delay the aging of the skin, brightens the traces after excessive exposure to the sun, giving the skin a youthful and healthy appearance. Peptides increase the softness of the skin. Vitamin C, a highly active antioxidant, penetrates into the deepest layers of the skin, where it neutralizes the action of free radicals. It also accelerates the production of collagen and elastin, stimulates the formation of melanin and helps to lighten the skin to give it a healthy appearance. Alpha- hydroxy acids from fruit stimulates the renewal of collagen, which contributes to a tender and fresh tone of the skin. Reduces wrinkles and gives the skin a more youthful appearance. Silicon from HAMAMELIS (Witch Hazel) and mandarin raises the production of collagen and elastin in the skin. Bamboo oil zreduces and soothes wrinkles and increases skin hydration. Hyaluronic acid a natural moisturizer. Grapefruit extract contain a large amount of vitamin C and help regenerate the skin. Lemongrass extract is rich in vitamin C which brightens the skin tone. Sheabutter Rich in fatty acids, vitamins A and E, softens and smoothes the appearance of fine lines as well as maintains a high moisture level. Wash your face with C TINE SUCCESS CLEANSER. Apply C THE SUCCESS CONCENTRATED VITAMIN C SERUM. Apply C THE SUCCESS INTENSIVE DAY CREAM. Apply sun-protection lotion SUNBRELLA (SPF 36) or use AGE DEFENSE CC CREAM (SPF 50). Wash your face with s C TINE SUCCESS CLEANSER. Apply C THE SUCCESS INTENSIVE EYE CREAM. Wash your face with s C TINE SUCCESS ČISTIACOU EMULZIOU. Apply C THE SUCCESS INTENSIVE TREATMENT MASK. Apply C THE SUCCESS CREAM. Dehydration, lack of moisture is a problem of all skin types. Water balance is very important and ensures the health and youth of the skin. Reducing the hydration of the skin leads to an acceleration of the aging process, a change in its texture, the formation of wrinkles. The components of this product line are based on hyaluronic acid, which is able to retain moisture inside the skin, maintains the integrity of the skin’s protective barrier, slows the formation of wrinkles and increases the elasticity of the skin. HYALURONIC ACID increases the hydration of the skin, reduces water loss, apparently increases the elasticity of the skin, and minimizes the appearance of wrinkles. Lactic Acid softens and smooths the skin, due to increased space between cells and retaining moisture in the skin. Vitamins A, C and E are strong antioxidants, protect cells from the effects of free radicals, accelerate the renewal of skin cells, stimulate the synthesis of collagen, fight the first signs of aging. Brazil Nut, Borage, Kukui and Macademia oils are rich in fatty acids, gamma-linoleic acids, omega-3 and omega-6 acids. These oils help maintain the optimal level of skin hydration, its elasticity and health. Green Tea is an antioxidant that protects against the effects of free radicals, as well as reducing the level of collagen. Clean your face with VITALISE CLEANSER. Apply VITALISE MOISTURE INTENSE SERUM. Apply VITALISE ACTIVE EYE CREAM. Apply sun-protection lotion SUNBRELLA (SPF 36) or use use AGE DEFENSE CC CREAM (SPF 50). Apply VITALISE OVERNIGHT MOISTURIZER CREAM. Clean your skin with VITALISE VITALISE CLEANSER. Red algae extract helps to increase skin’s moisture level, encourages collagen synthesis, assists in preventing damage to collagen caused by the sun’s radiation, and contributes to maintaining a firm, supple skin texture. Aloe Veraeffectively soothes the skin; also popular in the treatment of burns, lesions and insect bites. Extract of matrix and natural silkrich in proteins that help maintian skin’s natural glow and protect skin against damage from sun and damaging external environmental factors, helps soften skin texture and regulate melanin production.